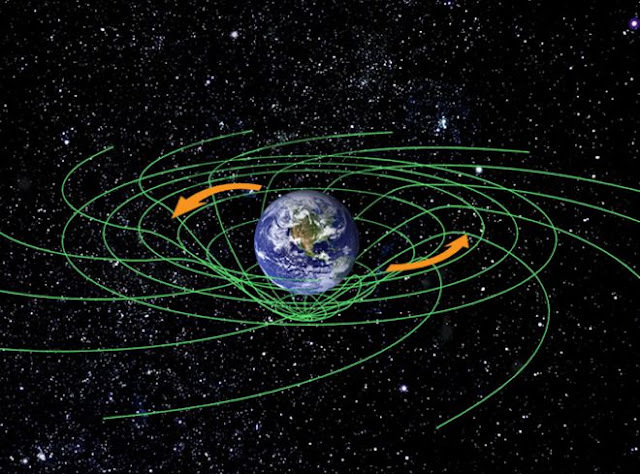 “We have evidence that this new view of gravity actually agrees with the observations,” says Erik Verlinde, a Dutch theoretical physicist and string theorist. “At large scales, it seems, gravity just doesn't behave the way Einstein's theory predicts.” The detection of gravitational waves (image above) scooped the 2017 Nobel physics prize. But Verlinde proposes a rather different theory --the theory of emergent gravity. One of those big open questions that we have in physics goes like this. Einstein’s theory of General Relativity is elegant and accurate. 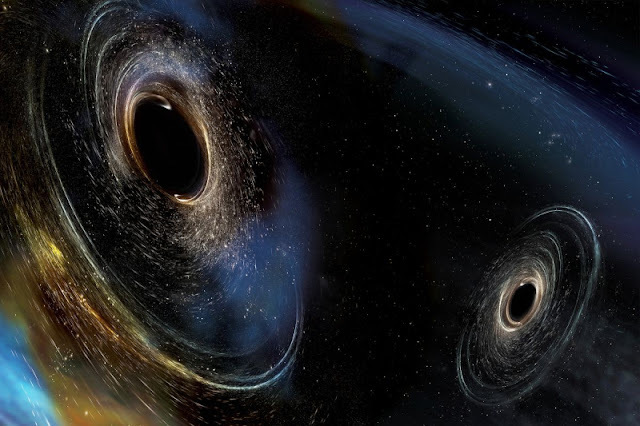 It makes many correct predictions, including the prediction of gravitational waves, the observation of which won the Nobel Prize in physics today. Yet if we use General Relativity to predict the motion of galaxies, we get the wrong answer. The favored response to this is to invent a new form of so-called ‘dark’ matter. Adding the right amount of this to the visible matter in the galaxies brings theory and observation into agreement. But this is not just a minor correction – there needs to be much more of the dark matter around than normal matter. What is more, dark matter doesn’t seem to be made up of quarks and electrons like all other matter. In fact it doesn’t seem to be made up of any of the particles in the Standard Model of particle physics. So that’s the big question. To answer it, theorists postulate new extensions to the Standard Model, containing new particles, from which dark matter might be made. We are actively searching for such things, at the Large Hadron Collider at CERN and using sensitive underground detectors. But there may be another way. Perhaps General Relativity can be modified instead, to give a new theory, in which the motions of galaxies, and the structure of the universe, are correctly predicted, without the need for dark matter. Maybe even the accelerating expansion of the universe, another current conundrum of physics, can be explained in such a theory. Perhaps dark matter is a mythical beast, a figment of our ignorance which will evaporate as we explore nature more thoroughly. Gravity is in dire need of new approaches like the one by Verlinde, since it doesn't combine well with quantum physics. Both theories, crown jewels of 20th century physics, cannot be true at the same time. 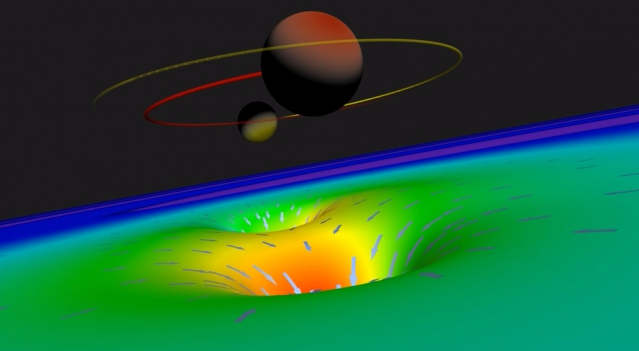 The problems arise in extreme conditions: near black holes, or during the Big Bang. The outer regions of galaxies, like our own Milky Way, rotate much faster around the centre than can be accounted for by the quantity of ordinary matter like stars, planets and interstellar gasses. Something else has to produce the required amount of gravitational force, so physicists proposed the existence of dark matter. Dark matter seems to dominate our universe, comprising more than 80 percent of all matter. Hitherto, the alleged dark matter particles have never been observed, despite many efforts to detect them.According to Erik Verlinde, there is no need to add a mysterious dark matter particle to the theory. In a new paper, Verlinde shows how his theory of gravity accurately predicts the velocities by which the stars rotate around the center of the Milky Way, as well as the motion of stars inside other galaxies. At first glance, Verlinde's theory presents features similar to modified theories of gravity like MOND (Modified Newtonian Dynamics). However, where MOND tunes the theory to match the observations, Verlinde's theory starts from first principles. “A totally different starting point,” according to Verlinde. On the brink of a scientific revolution: Gravity is in dire need of new approaches like the one by Verlinde, since it doesn't combine well with quantum physics. Both theories, crown jewels of 20th century physics, cannot be true at the same time. The problems arise in extreme conditions: near black holes, or during the Big Bang.